RESOURCES FOR YOUR HOME IMPROVEMENTS! Click on Better Homes logo to get some great ideas and helps! 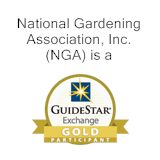 Click on this logo to get all kinds of information on gardening from formal gardens to kids gardens! Click on HGTV logo to find information, videos, ideas that dream homes are made of! Click on Home Depot's logo to find ideas, helps and resources in the same site! Click on Home Made Simple for ideas, helps, coupons and so much more! Click on Houzz to find an amazing website to update and isolate problem areas of your house!